One thing that I often struggle with is how to know if I am on the right path. I often wonder if I am pursuing the right things with my life and spending the one life that I do have in the right ways. Someone wiser than me once said, “I know several lives that are worth living”. And it is true, we all have a few different lives we could live. So as we walk into this new year, how do we know that we are headed in the right direction? As I am writing this, I am asking myself the very same question because the process of life is constantly changing, and we have to constantly adjust course. I am reading a book called The Road to Character and it in, author David Brooks talks about two sets of virtues that each of us have. All virtues fall into one of two buckets: the resume virtues, and the eulogy virtues. As you can guess, the resume virtues are what you would put on your resume. They are the total of your learned skills and the natural giftings that you have leveraged to gain external success. The eulogy virtues are deeper. They are the things that people would talk about at your funeral. The things that are much closer to the core of who you are. Bravery, kindness, honesty are all eulogy virtues. And we (you and me and everybody else on the planet) live on a continuum between these two things. We are daily left to choose which set of virtues we will base our decisions and ultimately our lives on. If you had to choose one eulogy virtue that you wanted to focus on in 2019, what area do you feel like you need to grow the most in? What would you most want to be known for? If you were able to do or accomplish one thing in 2019 and no one else got to vote or give you their opinion on that thing, what would you do? I think that is what most of us need to hear. I know I do. So stop putting pressure on yourself as we start a new year. Spend some time evaluating what virtues you want to focus on this year, and don’t ever let people talk you out of what you want to do with your life. If we all focused a little more on our eulogy virtues the world would be a more kind place. And I will leave you with this wonderful clue to finding your path written by Frederick Buechner: “The place God calls you to is the place where your deep gladness and the world’s deep hunger meet.” And from my experience this is also the place where you will find and live your fullest life. So go forth and find that place in the world. Drew loves adventures and he loves stories. That's one reason he is so passionate about the work he gets to do at Novo Life. Drew specializes in working with people who want to unlock more functional and creative potential within themselves. Issues that get in the way are commonly Anxiety, Depression, and ADHD. He also specializes in LENS Neurofeedback, a revolutionary treatment that improves brain function and reduces a myriad of symptoms in clients. When he isn’t in the office, he is taking his wife and daughter on adventures around the world. He is passionate about the written Word, surfing, entrepreneurship. 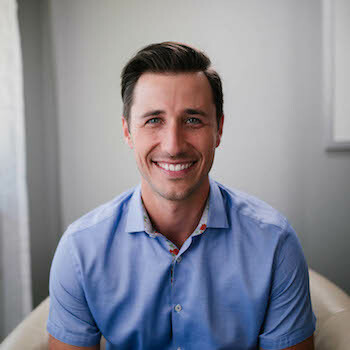 If you want to learn more about Drew, or figure out what is holding you back from reaching your full potential, don’t hesitate to connect with Drew, he would love to hear from you!